Raincoat Roofing is proud to stay at the forefront of roofing technology and industry leading trends. 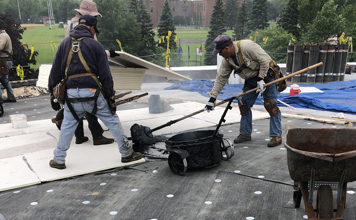 Whether it be taking advantage of satellite imagery and to the inch measurement specific tools or deploying a drone to perform inspections at heights and roof decks that are often difficult or dangerous to reach; Raincoat Roofing is proud to stay ahead of the curve. No roof system is out of touch or too difficult for Raincoat Roofing to perfect and customize for your next investment in your business. 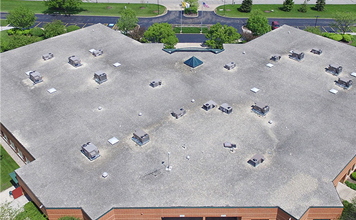 If it’s a single ply PVC or TPO substrate, or a heat applied membrane like modified bitumen; Raincoat Roofing is accredited and approved as installers of every type of commercial and residential roofing material and system in the Chicago area per the National Roofing Contractors Association and Chicago Roofing Contractors Association codes. Every roofing system needs to be maintained after installation, no matter what the material is. Drains need to be free and clear, counter flashing needs to be sealed, damage caused by the elements needs to be addressed; the list goes on and on. With out proper maintenance from a credited and certified materials installer, your roof’s lifespan is compromised. 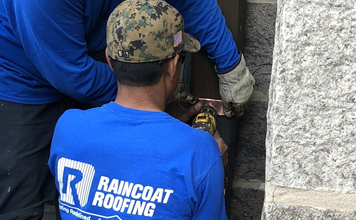 Raincoat Roofing provides a specific and custom maintenance plan that works with you to stay proactive and increases the lifespan of your roof.